Island kitchen w/ cherry cabinets, granite counters, tile back splash, stainless steel appliances (double ovens & gas stove), under mount sink, built-in desk & walk-in pantry. Dining area w/ walkout to covered patio. Living room w/ stone-faced gas log fireplace. Office w/ glass French doors & built-in shelving. Hardwood floors throughout ML except office. Master suite w/ French doors, walk-in closet & tiled 5-piece master bath. Jack & Jill bath w/ double vanities. Laundry room w/ cherry cabinets & sink. Large loft. Unfinished storage area that could be finished to make 6th bed. Professionally landscaped corner lot. Covered patio & privacy fence. Oversized 2 1/2-car garage. 9 ceilings & surround sound. Popular Meridian Ranch neighborhood featuring golf course, hiking & biking trails, basketball courts, baseball fields, inline hockey court, playgrounds, parks, shopping, dining, & rec center. HomePopper at Re/Max Structure- Licensed in the State of Colorado. The real estate listing information and related content displayed on this site is provided exclusively for consumers’ personal, non-commercial use and may not be used for any purpose other than to identify prospective properties consumers may be interested in purchasing. 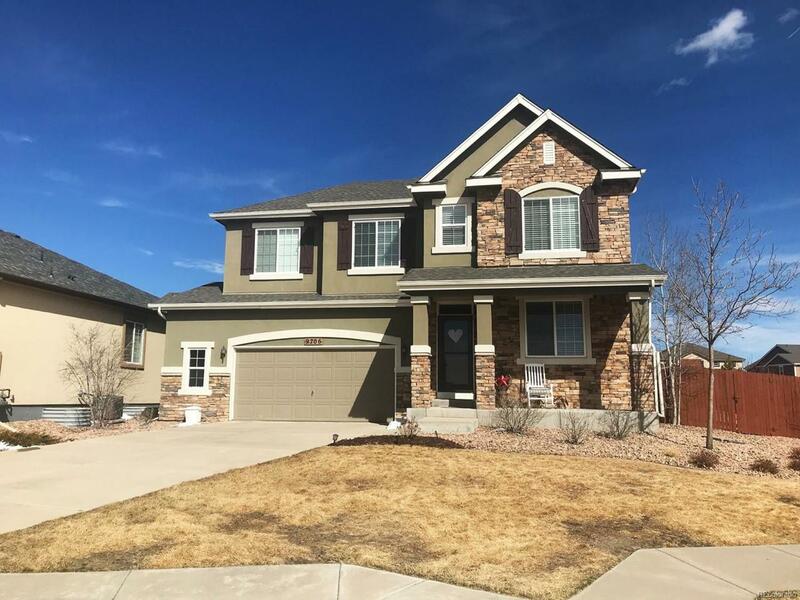 This information and related content is deemed reliable but is not guaranteed accurate by the Pikes Peak REALTOR® Services Corp. Data last updated 2019-04-18T23:40:55.74. © 2019 Information and Real Estate Services, LLC. IDX information is provided exclusively for consumers' personal, non-commercial use and may not be used for any purpose other than to identify prospective properties consumers may be interested in purchasing. Information is deemed reliable but is not guaranteed accurate by the MLS or HomePopper at Re/Max Structure. Data last updated: 2019-04-18T23:39:27.003.